Women are so busy raising kids, taking care of their elderly parents, and maintaining a household and career that they often do not focus on what will happen to them in retirement and beyond. A new white paper by the Volunteers of America called “Boomer Bust 2011: Still Unprepared and Unaware” highlights how unprepared seniors and their caregivers are as they age. Being unprepared can particularly affect women more as they are often called on to be the caregiver and deal with health and financial problems of their own later on in life. When women can get education and legal guidance to prepare for their retirement and long-term care needs, they can lessen the risk of their golden years being a difficult time. Having a skilled estate planning attorney review assets, health care needs, and end of life wishes can help women feel confident about the years ahead. Getting legal guidance early on will establish a roadmap to show a woman how to save for a comfortable retirement, prepare documents with the input of family members, and help a senior live more independently. Littman Krooks LLP counsels individuals and families to create appropriate estate plans, plan for long-term needs and government benefits, and protect assets. Our New York City, White Plains and Fishkill estate planning attorneys and elder law attorneys are accomplished in asset preservation, trusts, and estate planning. 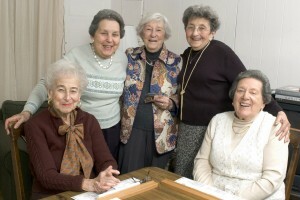 To learn more about New York estate planning, visit http://www.littmankrooks.com/elder-law/estate-planning/.